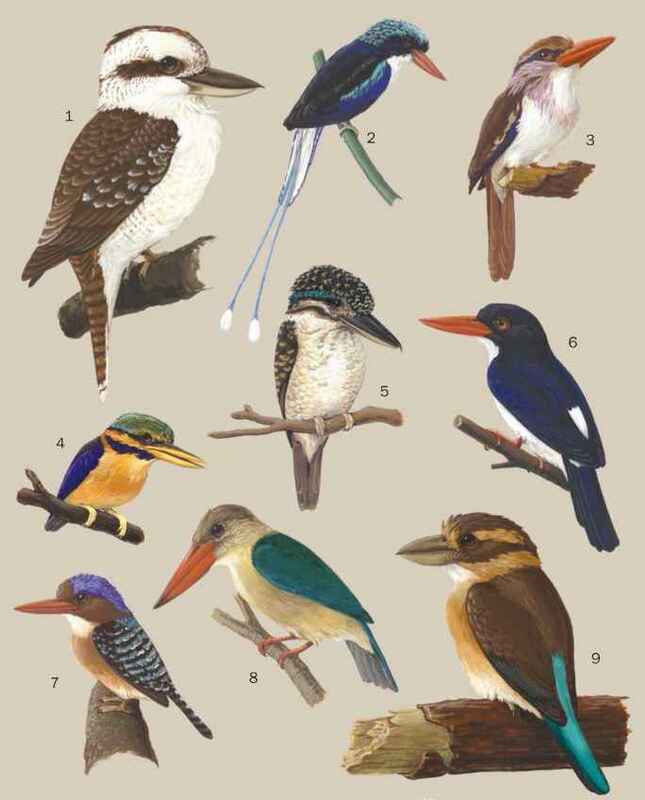 Puffbirds, to varying degrees, are sit-and-wait predators that perch motionless for prolonged periods, searching their surroundings for movement. Their stillness renders them difficult to locate, and this presumably benefits them in terms of concealment from predators and prey alike. Nunbirds are more active and noisy than most, and groups often draw attention to themselves by bickering, chorusing, and more frequently switching perching position. The flight of most puffbirds is quick and direct on whirring wings. Nunbirds behave slightly differently, often interspersing series of wingbeats with glides, and sometimes wheeling briefly under the canopy. Flight pattern and fuller tail shape derive from the more aerial foraging niche. The most aerial of all puffbirds, however, is the swallow-winged puffbird. This species perches conspicuously at the pinnacle of trees, or on high bare branches, and frequently launches itself to catch flying insects with great skill and maneuverability. It finds all its food on the wing. Most puffbirds appear to defend year-round territories, using vocalizations to signal their presence, attract mates, and deter rivals. Although they are generally solitary birds, some occur in small groups, presumably extended family parties. Group-living nunbirds give cacophonous semi-coordinated choruses, while some pair-living species, such as the white-eared puffbird (Nystalus chacuru), sing loud coordinated duets. Very few reports of seasonal movements have emerged. At the upper edge of altitudinal limits, or the southernmost extent of some species ranges, minor migrations may occur in response to seasonal conditions.